Beautycounter's mission: To get safer products into the hands of everyone. What does safer mean? Beautycounter goes beyond what is legally required to ensure that their products work beautifully without compromising safety. Every potential ingredient is screened for specific human health hazards- like cancer, hormone disruption, and developmental toxicity. Scientists and industry leaders are working to develop safer formulas and even commission their own studies when there isn't enough data available. Over 80% of the ingredients used are organic, natural, or derived from plants - the rest are held to the same rigorous standard of safety and performance. With their high performing products for skin, body, hair & kids lines, to the beauty/make-up line. Beautycounter's mission is education first, on the lack of safety standards in the personal care industry, the European Union has banned or partially restricted over 1,400 ingredients from personal care products, Canada has less than 600, The United States, 30. This alone makes be believe strongly in Beautycounter as well as having the Environmental Work Group (EWG) safety seal of approval. These products are high performing, safe products for the whole family. These naturally occurring aromatic compounds are found in the seeds, bark, stems, roots, flowers and other parts of plants. I believe that essential oils are a piece of the puzzle to your overall wellbeing. Do you have an upcoming celebration or are you ready for some serious R & R? Let me help you plan your next vacation! 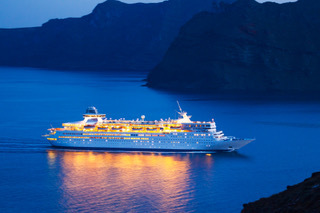 While I do specialize in Cruises , I will listen to your dreams, to help you find the perfect relaxation vacation! After all, in order achieve health and balance everyone needs to take time to fully relax and unplug. It's again, one piece of the puzzle to your overall wellbeing. This website contains affiliate links. I may earn a small commission for my endorsement, recommendation, testimonial and/or link to any products or services from this website (with no change in your purchase price). I only recommend products that I use and enjoy myself and hope that you will too!